Yes I’m talking about the end of a burnout cycle, I’m talking about the place we come where we cannot go on any further. When the pressure of school, work, relationships, personal and external demands and ministry become to much and we hit a very heavy brick wall very, very hard. We have ignored the signs, the sicknesses, the pain, the tiredness and suddenly we have to deal with it, we no longer have a choice. We feel suffocated, destroyed and torn down to a point and we can’t always see how we got there. We might say “I’m relying on God’s strength at this point” or “God will see me through this” but when we look at it we’re not sure God’s there at all, and we are scared. I know this feeling all to well, I’ve been there on at least seven different occasions since starting College and I can’t tell you how many times I’ve been there before college. I was there last summer at the moment when my roommate stepped in to tell me to chill out and just let people see me, I was there a week ago when I forgot to meditate on the word of God, and I know the reactions to it. I know that we think we can just back off, that we think we can cut things out of our schedule, that we think we can prioritize. That we know we can go to God and He will “fix us” and send us back on our way to do His work. But there’s a problem here, we are simply restarting the cycle: “If I get this worked out” my brother in Christ told me once “I’ll be fine.” Six months later my brother was back in the exact same place, he was struggling under the same weight, the same hurt, the same burn out. Ready, Reset, Go: Why we won’t be alright. If experience has taught me anything, resetting and going doesn’t mean we’ll be alright. I remember one night after a rehearsal during my High School’s production of Fame, my drama teacher noticed how burnt out I was. I told her I would be alright but she pointed out something that has stuck with me every since. “Jon” she said “You’re a rod and real Christian, you give it to God and then you pull it back in.” I didn’t admit it at the time, but she was right, and I can point to every time that I was burnt out that was why, I carried to much junk around and it only hindered my relationship with Christ, and in the end all of this nearly killed me. So here’s what we do, and why we won’t be alright, this list may sting a bit but friends bear with me. Prioritize: Now there is nothing wrong with having your priorities in line, this is actually a great thing to do, I myself have before given you a list of my priorities, God, Relationships, Education. The problem is that prioritizing without slowing down or skipping a beat, we put those things in order, get to feeling better and keep going as fast as humanly possible, give it two more months and we’re burnt out again. Whenever I prioritize I have this nasty habit of not letting God set the list, something I’m getting better at thankfully. I sit there and focus on what I think is important and so soul care and spiritual formation either don’t make the list or get put on the back burner. This is probably the least destructive of our behaviors because it does force us to think about what are priorities are, the problem comes when our priorities aren’t God’s priorities, when we jump back into the totally busy lifestyle and God takes a back seat, that is to say quiet time with God takes a back seat.Our list of priorities should have God at the top, then we should sit back and allow Him to set the rest of the list, God’s will should be the priority, not ours. Demanding Purity: This is the most dangerous, the demand for purity tells us that we must be doing good works at all times, it is what leads us to the point of burn out. Those who practice this put a lot of pressure on themselves, in cults the leaders put on the pressure, but I’m talking about those who put the pressure on themselves. They say “I must not quit, if I quit I’m a bad Christian” which is totally the opposite of the truth. Steve Martin points out in his book The Heresy of Mind Control that “Good works our not are way into heaven, rather it is God who grants salvation as a gift, an act of grace.” (pg 52). Steve also gives scripture to back this up, Eph 2:8-11, Phil 2:13, James 2:17-18, 1 John 2:5, 29, 3:5, each of these passages tell that our salvation is not dependent on works; works are expexted by God but not our means of salvation This being the case why should we demand purity of ourselves, if we believe that this will make us good Christians we will find ourselves burnt out and believe it or not, ineffective for the kingdom. The best thing about Jesus is that he is always going out into the wilderness, Martin also points that after the 12 came back Jesus tells them to go find someplace to rest (pg 49, Mark 6:31). Just Give Up, Push it Down and Go On: This was my favorite one to do, I would lay down in my bed or on my couch and just cry it out, yelling at God for allowing me to get to that place. I wanted nothing to do with life or people or school or life in general. I remember specifically after my closest friendship of my freshmen year of college suddenly burned out, I was laying face down on the floor of my dorm room trying to figure out how we’d gotten to that point, knowing quite well how it had happened. I didn’t surrender at this point though, I pushed it down, held it in and let it consume me like everything else I’d been holding in my entire Christian Walk. This led to an ultimate burn out last December which culminated in a fateful night where I punched on of my best friends in the face and sat under a tree with another while she talked me through things. This was far from a good place to be but I had to deal with these things and finally the Lord forced me to, I could have died that week, I was near suicidal. If we continue in these ways we will eventually get sick and die early (maybe not for several years but it will happen, our bodies will give up on us and we won’t be able to go on), commit suicide or have something worse happen to us. We are not meant to keep these heavy paces, we are not meant to be everything to everyone at all times. We were meant to carry each others burdens, but not to get burnt out doing it, we were meant to be salt and light but how can we be salt if we lose our saltiness or light if we are burnt out. This passage comes right after Jesus talks about the cost of Discipleship and right before Jesus gives parables about coming to save sinners. 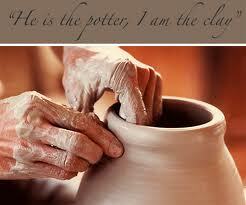 In 14:25-33 Jesus says if anyone does not give up all they are holding they cannot be a true disciple. Then He says the verses above. Think about Salt, it only had a short shelf life in those days, it was mined from the Dead Sea and had to be processed very specifically as to remove the impurities, Carnalite and Gypsum, two chemicals that make salt tasteless. The truth is when we are burnt out we are holding things in, when we go through this cycle over and over we never truly deal with things. We push them down and go on, until we reach burn out again and then its ready, reset, go. God says differently though, if you think about it, the analogy of salt is rather beautiful. Like I told you above salt had to be processed, they had to weed out the impurities and the work of Sanctification is the same way. 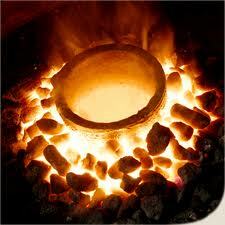 It’s a process by which we are thrown into the refiners fire, onto the potters wheel and the impurities are weeded out. Slowly over time we are made holy, we are made complete in Christ, just as God is holy and in that holiness complete we are made that way, a process that takes a lifetime and will never be complete until we reach eternity. The trick is to surrender our wills totally to God’s. This sounds painful, even scary, I know from my personal experience this is not something we all want to do. This is however what God wants, Paul aknoledges this in 2 Cor. 12:9, he says: “But he said to me, “My grace is sufficient for you, for my power is made perfect in weakness.” Therefore I will boast all the more gladly of my weaknesses, so that the power of Christ may rest upon me”.(ESV). Paul is talking about surrounding his will to the will of Christ, he does the same thing in his letter to the Galatians. The more I learn to live in daily surrender the more I find the sovereignty of God is greater than we could imagine. That He will speak to us, affirm us, validate us and as we learn to sit in stillness and solitude and listen to Him we will be transformed, we won’t have to much to handle because what we are doing will be His will. The more I sit in stillness and solitude and communion with God the healthier I am, the healthier I am the more effective I am. God has restored my saltiness and raised me to life, He has validated me, taken away my self hatred and moved me into a better place. I know this is long winded and if you’ve made it to this point I thank you, I love each of you with a love I can only attribute to the father. We must start caring for ourselves, we must deal with the things we push down, we must surrender to our loving father in heaven. God wants us to be effective, but to do that we have to allow him to work and we won’t do that if we are burnt out all the time, going our own way, trying to figure it out on our own. I love you, I pray grace finds you as you ponder these things, please dear friends, find wisdom and love in my words, not condemnation. I thank the Lord for each of you, blessings. Quotes from: The Heresy Of Mind Control: Recognizing Con Artists, Tyrants, and Spiritual Abusers in Leadership, by Stephen Martin, ACW Press, Nashville TN. Copyright 2007, 2009.